Si inoltra articolo dal titolo "Europa Distribution in Karlovy Vary – “C” for Cinema? The ABC of Film Education" a proposto della conferenza avuta luogo nel corso del festival pubblicato su Europa Distribution a firma di Isabella Weber. The International Film Festival of Karlovy Vary hosted again this year the largest annual gathering of the members of Europa Distribution who, from July 3 to July 7, got together to address several critical topics for independent distribution today, focusing especially on the current situation of Film Education in Europe. With the cinema spectators growing older every year, looking at the future of European audience is becoming a pressing emergency for the Film Industry as well as for the European Institutions. In partnership with Europa Distribution, the Lux Film Prize of the European Parliament approached the theme of Film Education on Sunday 3 July with a panel focusing on the framework for audiovisual works in today’s education and on the current policies. The members of the Parliament Michaela Šojdrová (CZ) and Julie Ward (UK) both stressed the necessity of having Film and Media literacy as part of the school curriculum, to give new generations the analytical instruments to understand the multimedia reality of today. Nuria Fernandez from the UAB (Autonomous University of Barcelona) presented a study on the current situation of the use of audiovisual content in European schools and among the recommendations that emerged, the most pressing one came from the teachers interviewed: 60% of them urge the integration of Film Education as a compulsory subject. Dag Asbjornsen, from the European Commission, stated that the budget for Film Education programs would be raised to 1.4 M in 2017 (while before, a support of 1.9M was shared with the audience development projects). On Monday 4, Europa Distribution addressed the topic of Film Education from the Industry perspective, presenting several case studies of existing projects. Linda Arbanova from Czech Republic presented Aerofilms’ Aeroškola which works as a filmmaking academy for young people, with a wide range of activities from summer camps to long-term education in documentary, animation and feature. 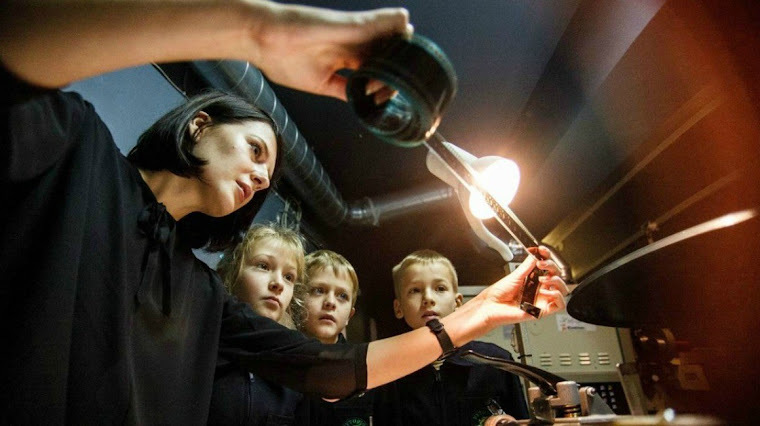 “Kids involved in practical filmmaking develop a distinct sensibility towards cinema,” assured Linda. Federico Spoletti, from FRED@School, also stressed the importance of not imposing top-down education models for film education. In this case, the students who participated in the project, which ran in 8 EU countries, were involved in the elaboration of radio programs commenting on a selection of 4 LUX Prize films watched on a special VoD platform. Matteo Solaro from EACEA, presented some of the outcome of the Audience Development and Film Literacy calls from 2014 and, during the private workshop for Europa Distribution members, introduced the draft lines of the new call on Film Education. “We do not find many projects with distributors among the partners,” – stated Matteo – the great majority of the Film Literacy projects submitted to Creative Europe use heritage films to avoid the difficulty of acquiring the rights.” Despite this difficulty, some programs do succeed to integrate all parts of the Industry chain. Claus Hjorth from the Danish Film Institute illustrated MED SKOLEN I BIOGRAFEN, an interesting example of collaboration between film industry, national institutions and local municipalities to bring school children to the cinemas and Michael Jahn from Vision Kino presented SchulKinoWochen, a project with many similarities coming from Germany. In partnership with all 16 Federal States (who provide 48% of the budget), Vision Kino organizes film school weeks bringing students to the cinemas with special screenings and debates with the filmmakers. Food for thoughts to develop similar projects all over Europe! Michael Gubbins (UK), who chaired the Europa Distribution panel, launched the workshop session highlighting the most relevant topics to be further discussed: the necessity of thinking of Film Education as an active process rather than a passive one, the lack of reliable data on young audience and on the cross-over value of educational programs, the need of involving more the teachers and the problem of how to educate them, the essential role played by cinema theatres as the first place where to experience film culture and, maybe above all, the necessity of establishing a more constructive dialogue with the public institutions. The Danish example was much analyzed and a question was left open: how to implement best practices from neighbour European countries? All the topics and concerns that were discussed and studied during the different panels and round tables were brought back to the EFADs members during a joint meeting on Wednesday 5, where the two associations discussed ways to work together more closely to foster film educational programs. As the other parts of the Industry chain, distributors are indeed concerned with the accessibility of European films for young audience and for educational purposes but worry that the “copyright exception for educational purposes” might endanger the possibility of fair remuneration. This optional exception to the copyright rules allows teachers to use parts or full works to illustrate a course without paying any fee to the rightsholders. Following the review of the copyright rules (to be announced this autumn by the Commission), it could become mandatory in all Member states and lead possibly to the concept of free rights for any screening taking place within an educational perspective. This would make the release of many films impossible, as a needed part of their revenues would be taken away. In the framework of the festival, Europa Distribution organized also its 10th Annual General Assembly, where distributors gave voice to a general concern about the Digital Single Market, fearing that the possible regulations to come would destabilize the Film Industry and put the smaller players out of the game. For similar reasons, the Assembly strongly condemned the change in the Selective Media Support on the calculation of the eligible number of screens which gives access to the financial support, which in 2017 will move from the “highest point of release” to the “first week of release”. In certain countries, independent European films are initially distributed in a few copies and count on the word-to-mouth to gain a wider circulation in the weeks following the release. The change to the first week of release would hence endanger the circulation of the films the scheme is supposed to support. Indeed, challenges are ahead for independent distribution… but hopefully solutions exist, and through film literacy a new audience craving for European films can be developed for brighter days!